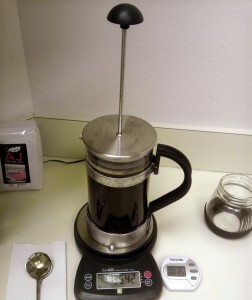 French Press (or press pot) is a very simple brewer that uses full submersion brewing, and uses a fine metal mesh filter. 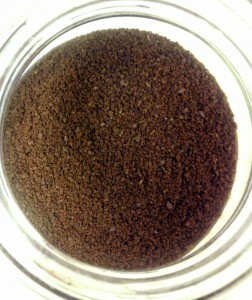 Fans swear by its “rich” taste, and some say that it will improve the taste of whatever coffee you normally drink. 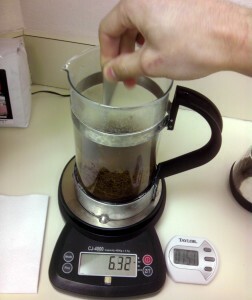 We think it’s an easy, straightforward way to properly brew an excellent cup of AJ Coffee. 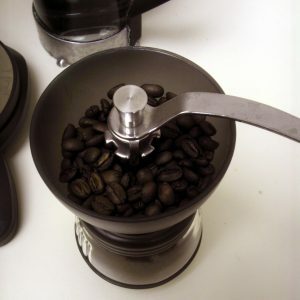 While we disagree with the notion that it makes any coffee taste better, we do think that every kitchen should have one. 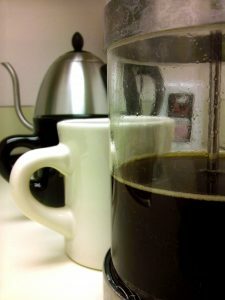 Start with a clean french press, fresh filtered or spring water, and the proper dose of AJ Coffee. 3. 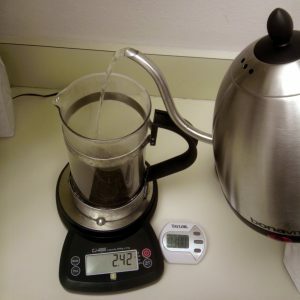 Start your timer and pour a couple of ounces of water into the carafe, on top of the coffee grounds. If you can, try to evenly saturate the grounds. 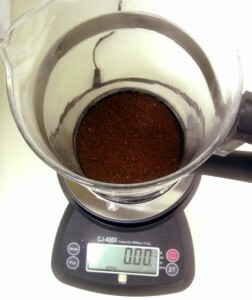 Wait 30 seconds to 1 minute of time to allow the coffee to bloom. 4. 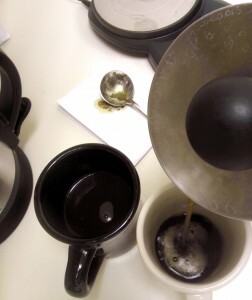 Stir the slurry, then pour the rest of the brew water into the carafe and place the plunger assembly back on top. If you are paranoid about making sure every surface of coffee stays under water, you may depress the plunger slightly just so the metal filter screen is just under the surface. 5. When there is 20-30 seconds dwell time left, begin pressing the plunger down, slowly and steadily, until it stops. If you’ve timed it well, you will reach the bottom right when your dwell time has expired. DO NOT press hard, or you risk over-extraction. 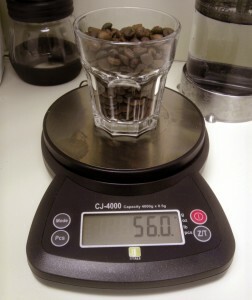 The idea is to collect the grounds together at the bottom of the carafe, not to squeeze them until they’re dry. 6. 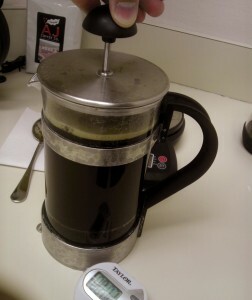 Your coffee is brewed(! ), but let it rest for about one minute to allow the fines to settle to the bottom. 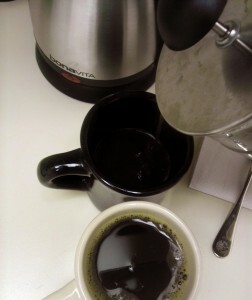 1You may choose to pre-heat your press pot by filling it with hot water from the tap once your brew water is heating. 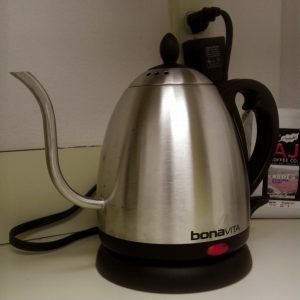 If so, leave it full of hot water until your brew water comes close to its target temperature. 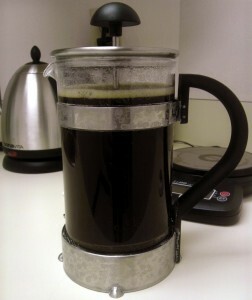 Enjoy your French Press coffee! Sign up for our Newsletter for the latest coffee news, roaster’s tips, and deals!